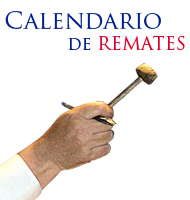 REMATE * 24-ABR-19 * 10:30 Hrs. PANELES AISLADOS POR ORDEN DE CINTAC S.A.
ISOPOL, KOVER POL, ISOPUR, KOVER PUR, PV4 Y PV6. TODO A LA VISTA DESDE EL LUNES 22 DE 10:00 A 16:00 HORAS, EN CAMINO LONQUÉN 11011. PARA EL INGRESO SE EXIGIRÁ CASCO, CHALECO REFLECTANTE, ZAPATOS DE SEGURIDAD Y CAMISA O POLERA DE MANGA LARGA. - REMATE * 24-ABR-19 * 10:30 Hrs. PANELES AISLADOS POR ORDEN DE CINTAC S.A.